Jon was the Sr. Design Consultant/Project manager for a family owned business, Hill Construction Company, which specializes in paving stones, artificial turf, and outdoor living spaces. Hill Construction serves Central and Northern, California. Jon has used his entrepreneurial skills to own his own custom cabinet and concrete counter-top design center. He has also enjoyed being a representative with nutrition and telecommunications companies. Since his daughter’s automobile accident that left her with a spinal cord injury (SCI) on February 21, 2010 and faced with the diagnosis she’d never walk again, he set out on a mission to learn all he could about this type of injury. He and his daughter (Chelsie) both began researching options and treatments not known to them through the medical world. This was where they began to meet many people with the same doom and gloom diagnosis but was proving it wrong. Unfortunately most insurance companies won’t cover these types of therapy treatments or equipment. As Jon and Chelsie are dedicated to seeking continued strengthening and treatment for Chelsie, a passion for assisting others has developed in their pursuit of treatment, equipment, and supplies. It became important to them that the many people suffering with SCI not lose hope. Out of this vision, the Walk and Roll Foundation was formed. 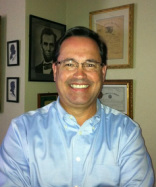 Andrew Kreeft is a partner in a Monterey Bay Area law firm specializing in civil litigation. He was born in Oakland, CA, and attended college at Georgetown University, and law school at Santa Clara University. He lives in Santa Cruz County with his wife, Mimi, also an attorney, and their youngest son, Drew. Mel Godwin has been a police wife, mother, volunteer, special Ed instructor, nanny, board member, deli owner, and event coordinator over the last 15 years. Though she wears many different hats she is dedicated, honest and executes every project with integrity and heart. Mel currently volunteers and works for First Presbyterian Church, stays at home with her two teenage sons, while running her own successful business as an Event Coordinator here in the Monterey Bay. Though Mel was a young Mother she was able start her own business as a Deli Owner, which gained her some knowledgeable business and life experience. She then moved on to attend college and gain a paralegal certificate, and continues to pursue an advanced college degree. She has volunteered over the years for everything from school/baseball fundraising, fallen officer memorial events, Relay 4 Life events, weddings, birthdays, church functions, clothing swaps and more! Serving on various boards throughout the last 10 years including; co-Chair/Secretary of The Salinas Police Officers Wives Association, Secretary of Hartnell Little League, and being a continuous partner and Team Captain for the Salinas Police Department Relay For Life Team for the last 7 years she continues to inspire and motivate all those around her. She continues to find ways to improve the lives of others and is ready to take the lead forming many projects to do so within her Police community, whether it’s fundraising for a fallen officer or canned food for the homeless, adopt a family, or raising awareness for a cause, she makes it happen. Mel will continue her efforts with Relay for Life, and First Presbyterian her church of 20 years, while she works with our foundation, as our Event/Fundraising Coordinator. Chelsie was born March 28, 1992 and grew up in Pacific Grove Ca. She was a typical child growing up in a small town enjoying life with her family and friends. Chelsie had a strong excitement towards dancing from the time she started walking. This desire to dance put her on her 1st dance team at the age of 3yrs old. By the time she was 4yrs old she was competing at the state and national levels, it would be uncommon for her to walk away without a trophy or taking 1st place. This continued right up to the date of her accident. Her whole life was about the art of dance. She loved nothing more than to be on stage with her team or even solo to entertain a crowd. When she awoke in the hospital and the reality began to set in about what had happen to her, she immediately began redesigning her goals. As she rolled out of the hospital 51 days later her mission began. Her accident and story had been a major focus of our local news stations and papers since it happened. The doors began opening faster then we could keep up with as the community, local law enforcement, schools and many organizations began hearing her story and asking her to share it. She has been actively traveling around California Speaking to teens. Among many topics, she shares about how the choices they make can affect them and those who they love for the rest of their lives. This has become her greatest mission in life, but she has always said, “ I will walk again and I will dance again”! If you were to meet her tomorrow or hear her message you would agree with us all… If anyone can do it, Chelsie will! Kelly was born and raised in Marin County, lived in Tahoe for 7 years, and has been in Carmel for the past 8. She has two children, her youngest is in his senior year at Carmel High and the other is a sophomore in college. Kelly has always enjoyed being a part of her community and helping out at her children’s school by partaking in multiple projects; the last one being the creation and distribution of the color program for the football team. This is their largest fundraiser and included the renewing of current sponsors, recruiting new ones, designing, printing and the selling of the programs. Her business background is in managing with a heavy emphasis in accounting. Currently, she is the Executive Assistant to the CEO of Rocket Farms, a large Ag company here in Salinas. She oversees large company projects and manages multiple banking and investment accounts for the owner. She has a very energetic, positive personality and is looking forward to being a part of the Walk and Roll Foundation team. 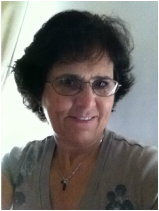 Susie Volwiler has lived in the Monterey area for over 30 years. She worked for PG&E as a Conservation Rep/New Business Rep prior to working in the field of Education as a Business Manager/Director of Financial Services for a private 2 year college in the area. 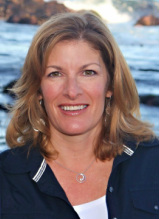 Susie also held the position of Volunteer Coordinator on the Monterey Ski and Social Club’s Board from 1996-2003. She was instrumental in coordinating volunteer opportunities for club members through her contacts with local area event staff such as the AT&T Pebble Beach Pro Am Golf Tournament, Concours d’ Elegance Auto Show, Sea Otter Bicycle Classic and Big Sur Bike Ride. Susie enjoys the outdoors, spending time walking, hiking, snow shoeing, snow skiing and volunteering for local events that benefit the community.